Pune is a beautiful city in the state of Maharashtra that is known for its plush environment, education hubs, commercial zones, historical landmarks, rising job opportunities and more. Being one of the lowest air-polluted cities in the country today, Pune is a city that many want to be a part of! Without a doubt, a rise in population leads to a rise in property requirements. The real estate market in Pune is booming today with a number of residential as well as commercial projects in different parts of the city. Real estate companies keep pushing the line of luxury to offer only the best and nothing short of it! While a number of prime areas in Pune are occupied and come at super-high real estate values, the locations around the prime areas are also sprawling with a number of developments as they grow in high-end infrastructure, public utilities, transportation and more. Constant development in locations other than the prime areas has opened new doors for the real estate industry in Pune. Construction of wider roads, highways and bridges has also improved connectivity to a great extent, attracting more crowed at the end of the day. A steady rise in price can be seen at new locations these days and that is the reason why many home buyers as well as investors are purchasing property in new locations like Camp, Shivaji Nagar, FC Road, Kothrud, Kalyani Nagar, etc. Without a doubt, property is not only affordable at these locations, but the property purchased will also yield better profits in the days to come. However, purchasing property from the right real estate company and the right project is very important to increase the future market value. While the real estate players are many, all do not live up to the mark of a home buyers/investor’s expectations. 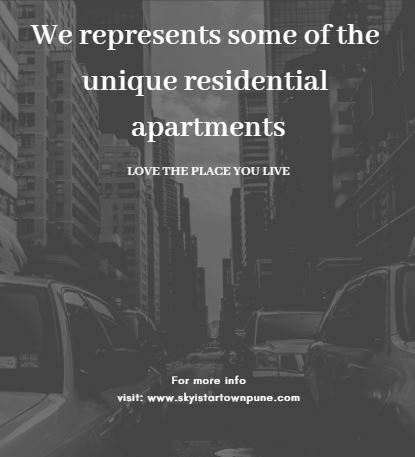 Skyi Star Town is a new CRISIL 5-star rated township project at Paud Rd, Kothrud in Pune by Skyi Developers that offers a beautiful balance between man-made creations and the beauty of nature for a well-endowed lifestyle. Spread over vast acres of land, this development consists of lavish eco-friendly towers that offer 1BHK and 2BHK luxury apartments that will satisfy your soul. Offering luxury space in every apartment, the perfect apartment that will be loved by one and all is right at your fingertips! This impeccable township development offers luxury and comfort of the highest level with its extraordinary range of internal and external amenities. The apartments are ell-spaced and contain superior fittings & fixtures, high-end flooring, stylish kitchens, tough doors, green balconies and beautiful windows providing landscape views, hi-tech safety features and more. The external amenities are simply outstanding and include a clubhouse, gym, multipurpose hall, meditation center and dedicated area for senior citizens, sports facilities, play-area for toddlers, shopping center, wide open greens, 40+ bird species and 400+ trees, landscape garden, 24hour water supply and high-end security. 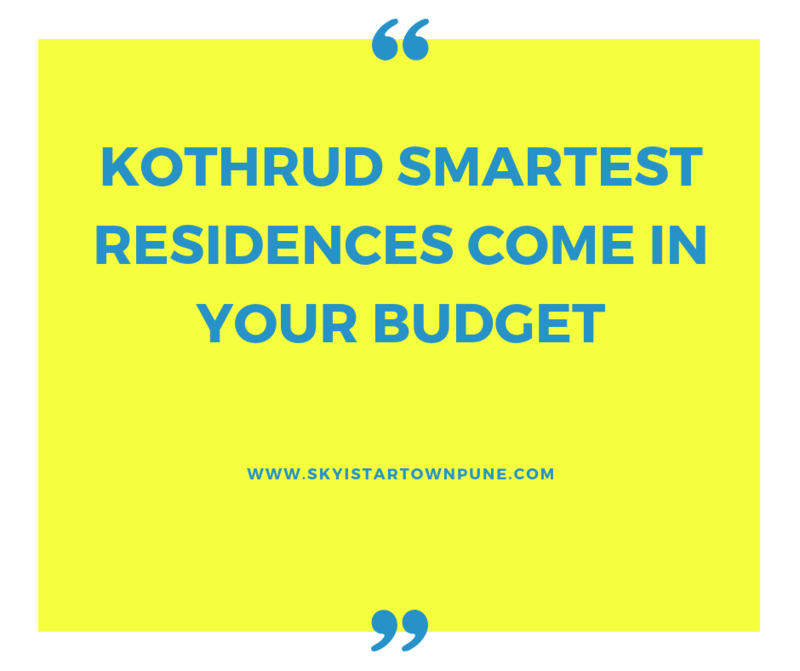 Starting at an exclusive price of Rs.25.50 lakhs and moving up to Rs.33 lakhs, the apartments at this township development are super-affordable and definitely worth a buy.